First, a bit of context from Fr. Richard Neuhaus: "When the aforementioned Nancy Pelosi [a systematically pro-abortion politician in the USA, recently] orchestrated a four-day gala in Washington celebrating her familial, ethnic, and - very explicitly - Catholic identity, people were alert to what would be said by the new archbishop of Washington, Donald Wuerl. He said nothing. Part of the festivities was a Mass at Trinity College, a Catholic institution in Washington. The celebrant of the Mass was Father Robert Drinan, a Jesuit who, more than any other single figure, has been influential in tutoring Catholic politicians on the acceptability of rejecting the Church's teaching on the defense of innocent human life." Also, remember that currently, approximately 4000 pre-born children are assassinated every day in the USA. When [Wuerl] took questions, a woman asked how be would respond to Catholic politicians who support legal abortion. "That is what Jesus did," he said. "Did everyone accept that teaching? No. ... But he didn't stop teaching. We are in this for the long haul." It's hard to think of an instance in which episcopal teaching has in fact caused a pro-abortion Catholic pol[itician] to soften his stance (still less repent of it), but let's take Wuerl at his word. The follow-up question is: by "teach" do you intend simply to restate the doctrine, or do you include personal admonishment of those Catholics who reject it? In view of today's anniversary -- 34 years since the Roe v Wade decision -- let's flash back a further three decades to look at another "life issue" in the balance, viz., the fate of Jews in Nazi Germany. Was the proper role of Christian churchmen -- in Germany, in 1943 -- one of education (by stressing the positive and giving good example) or one that included personal rebuke of individuals who outraged the moral law? Eichmann's defense attorney Dr. Robert Servatius for once took the initiative and asked the witness a highly pertinent question: "Did you try to influence [Eichmann]? Did you, as a clergyman, try to appeal to his feelings, preach to him, and tell him that his conduct was contrary to morality?" Of course, the very courageous pastor had done nothing of the sort, and his answers now were highly embarrassing. He said that "deeds are more effective that words," and that "words would have been useless"; he spoke in clichés that had nothing to do with the reality of the situation, where "mere words" would have been deeds, and where it had perhaps been the duty of a clergyman to test the "uselessness of words." 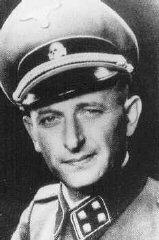 Even more pertinent than Dr. Servatius' question was what Eichmann said about this episode in his last statement: "Nobody," he repeated, "came to me and reproached me for anything in the performance of my duties. Not even Pastor Grüber claims to have done so." He then added, "he came to me and sought the alleviation of suffering, but he did not actually object to the very performance of my duties as such." Nobody came to me and reproached me for anything in the performance of my duties. Would it have made a difference if Grüber had done so? Maybe, maybe not. But as Arendt laconically remarks, we're inclined to think that a clergyman, more than other citizens, might have disregarded the calculus of political probabilities and -- like the prophet Nathan in the presence of King David [2S 12:7] -- delivered a rebuke simply because it's true. Looking back on the Nazi crisis from this distance, which course do we wish our clergy had taken? 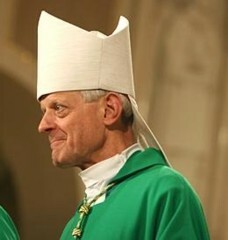 If Wuerl were to admonish pro-abortion Catholics individually, ought he make the fact of the admonishment public himself? Not necessarily. He may judge it well to give it some time to sink in. But to keep it mum serves -- and only serves -- the purposes of the malignant. So, Archbishop, teach by all means. But don't lose sight of the 4,000 wrong answers given daily. It matters.